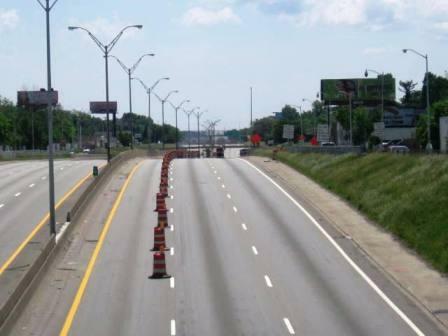 The Michigan Department of Transportation will resurfacing a portion of the M-39 Southfield Freeway in the Warrendale neighborhood. Work will begin this coming Friday, April 9 as lanes are closed. According to M-DOT, this work will be restricted to overnights on weekdays and all times during the weekends. Overnight lane restrictions will begin at 9:00 p.m. and will be removed by 5:00 a.m. the following mornings. Weekend work will run continuously from 9:00 p.m. Friday until 5:00 a.m. Monday. In addition to the resurfacing work, crews will patch sections of concrete pavement that carry the freeway under I-96. Weather permitting, crews will close two lanes on northbound M-39 under I-96 for patching beginning at 9:00 p.m. Friday, April 9 until 5:00 a.m. Monday, April 12. In order to allow for proper cure time, patching work will take place on weekends in April and May. All work is expected to be completed in early June. This project is funded by the American Recovery and Reinvestment Act. If you're going to spam my comments section, please at least spam it in English.